Agnes George de Mille (September 18, 1905 – October 7, 1993) was an American dancer and choreographer. Agnes de Mille was born in New York City into a well-connected family of theater professionals. Her father William C. deMille and her uncle Cecil B. DeMille were both Hollywood directors. Her mother, Anna Angela George, was the daughter of Henry George, the economist. On her father's side, Agnes was the granddaughter of playwright Henry Churchill de Mille and Matilda Beatrice deMille. She had a love for acting and originally wanted to be an actress, but was told that she was "not pretty enough", so she turned her attention to dance. As a child, she had longed to dance, but dance at this time was considered more of an activity, rather than a viable career option, so her parents refused to allow her to dance. She did not seriously consider dancing as a career until after she graduated from college. When de Mille's younger sister was prescribed ballet classes to cure her flat feet, de Mille joined her. De Mille lacked flexibility and technique, though, and did not have a dancer's body. Classical ballet was the most widely known dance form at this time, and de Mille's apparent lack of ability limited her opportunities. She taught herself from watching film stars on the set with her father in Hollywood; these were more interesting for her to watch than perfectly turned out legs, and she developed strong character work and compelling performances. One of de Mille’s earliest jobs, thanks to her father’s connections, was choreographing the Cecil B. DeMille film Cleopatra (1934). DeMille's dance director LeRoy Prinz clashed with the younger de Mille. Her uncle always deferred to Prinz, even after agreeing to his niece's dances in advance, and Agnes de Mille left the film. De Mille graduated from UCLA with a degree in English where she was a member of Kappa Alpha Theta sorority, and in 1933 moved to London to study with Dame Marie Rambert, eventually joining Rambert's company, The Ballet Club, later Ballet Rambert, and Antony Tudor's London Ballet. De Mille began her association with the fledgling American Ballet Theatre (then called the Ballet Theatre) in 1939, but her first significant work, Rodeo (1942) with the score by Aaron Copland, was staged for the Ballet Russe de Monte Carlo. Although de Mille continued to choreograph nearly up to the time of her death—her final ballet, The Other, was completed in 1992—most of her later works have dropped out of the ballet repertoire. Besides Rodeo, two other de Mille ballets are performed on a regular basis, Three Virgins and a Devil (1934) adapted from a tale by Giovanni Boccaccio, and Fall River Legend (1948) based on the life of Lizzie Borden. On the strength of Rodeo, de Mille was hired to choreograph the musical show Oklahoma! (1943). The dream ballet, in which dancers Marc Platt, Katherine Sergava, and George Church doubled for the leading actors, successfully integrated dance into the musical's plot. Instead of functioning as an interlude or divertissement, the ballet provided key insights into the heroine's emotional troubles. De Mille went on to choreograph over a dozen other musicals, most notably Bloomer Girl (1944), Carousel (1945), Brigadoon (1947, for which she was co-recipient of the inaugural Tony Award for Best Choreography), Gentlemen Prefer Blondes (1949), Paint Your Wagon (1951), The Girl in Pink Tights (1954), Goldilocks (1957), and 110 in the Shade (1963). De Mille's success on Broadway did not translate into success in Hollywood. Her only significant film credit is Oklahoma! (1955). She was not invited to recreate her choreography for either Brigadoon (1954) or Carousel (1956). Nevertheless, her two specials for the Omnibus TV series entitled "The Art of Ballet" and "The Art of Choreography" (both televised in 1956) were immediately recognized as landmark attempts to bring serious dance to the attention of a broad public. Her love for acting played a very important role in her choreography. De Mille revolutionized musical theatre by creating choreography which not only conveyed the emotional dimensions of the characters but enhanced the plot. Her choreography, as a reflection of her awareness of acting, reflected the angst and turmoil of the characters instead of simply focusing on a dancer's physical technique. De Mille regularly worked with a recognizable core group of dancers, including Virginia Bosler, Gemze de Lappe, Lidija Franklin, Jean Houloose, Dania Krupska, Bambi Linn, Joan McCracken, James Mitchell, Mavis Ray, and, at American Ballet Theatre, Sallie Wilson. Krupska, Mitchell, and Ray served as de Mille's assistant choreographers, while de Lappe has taken an active role in preserving de Mille's work. In 1973, de Mille founded the Agnes de Mille Dance Theatre, which she later revived as Heritage Dance Theatre. De Mille developed a love for public speaking, becoming an outspoken advocate for dance in America. She spoke in front of Congress three times: once in the Senate, once in the House of Representatives, and once for the Committee for Medical Research. She was interviewed in the television documentary series Hollywood: A Celebration of the American Silent Film (1980)  primarily discussing the work of her uncle Cecil B. DeMille. DeMille's 1951 memoir, Dance to the Piper, was translated into five languages. It was reissued in 2015 by New York Review Books. 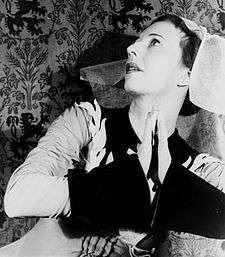 De Mille was a lifelong friend of modern dance legend Martha Graham. De Mille, in 1992, published Martha: The Life and Work of Martha Graham, a biography of Graham that de Mille worked on for more than thirty years. After suffering from a near fatal stroke, she went on to write five books: Reprieve (which outlined the experience), Who Was Henry George?, Where the Wings Grow, America Dances, Portrait Gallery, and Martha: The Life and Work of Martha Graham. She also wrote And Promenade Home, To a Young Dancer, The Book of Dance, Lizzie Borden: Dance of Death, Dance in America, Russian Journals, and Speak to Me, Dance with Me. De Mille married Walter Prude on June 14, 1943. They had one child, Jonathan, born in 1946. Her hobbies included collecting fine porcelain and research on the history of clothes, something at which she was an expert. She suffered a stroke on stage in 1975, but recovered. She died in 1993 of a second stroke in her Greenwich Village apartment. Agnes De Mille was inducted into the American Theater Hall of Fame in 1973. De Mille's many other awards include the Tony Award for Best Choreography (1947, for Brigadoon), the Handel Medallion for achievement in the arts (1976), an honor from the Kennedy Center (1980), an Emmy for her work in The Indomitable de Mille (1980), Drama Desk Special Award (1986) and, in 1986, she was awarded the National Medal of Arts. De Mille also has received seven honorary degrees from various colleges and universities. At present, the only commercially available examples of de Mille's choreography are parts one and two of Rodeo by the American Ballet Theater, Fall River Legend (filmed in 1989 by the Dance Theatre of Harlem) and Oklahoma! ↑ Easton, Carol (2000). No Intermissions: The Life of Agnes de Mille. Da Capo Press. pp. 111–115. ISBN 0306809753. ↑ Brownlow, Kevin; Gill, David (1980). Hollywood: A Celebration of the American Silent Film. (video). Thames Video Production. ↑ Smallwood, Christine (November 2015). "New Books". Harper's. Retrieved November 12, 2015. ↑ De Mille, Agnes (1992). Martha: The Life and Work of Martha Graham. New York: Vintage Books. ISBN 0-679-74176-3. ↑ Jack Anderson (October 8, 1993). "Agnes de Mille, 88, Dance Visionary, Is Dead". The New York Times. Retrieved August 21, 2007. ↑ "15 Inducted into Theater Hall of Fame". Toledo Blade. January 17, 1974. ↑ ""Rodeo" Scene 1, Pt. 1 ABT 1973". YouTube. November 1, 2008. Retrieved October 10, 2012. De Mille, Agnes (1973). Speak to Me, Dance with Me. Little, Brown. ISBN 978-0-316-18038-2. De Mille, Agnes (1990). Portrait Gallery: Artists, Impresarios, Intimates. Boston: Houghton Mifflin Co. ISBN 978-0-395-52809-9. Memoirs, anecdotes about famous performing artists. Wikimedia Commons has media related to Agnes de Mille. Archival footage of Gemze de Lappe performing Agnes de Mille's Come to Me, Bend to Me in 2007 at Jacob’s Pillow Dance Festival.